Brussels’ shopping centres are on track to attract more visitors than in 2017. According to new figures released by AG Real Estate, the country’s largest property group, its City2, The Mint and Galeries Anspach shopping centres have attracted more visitors in the first quarter of 2018 than similar shopping centres across the country. 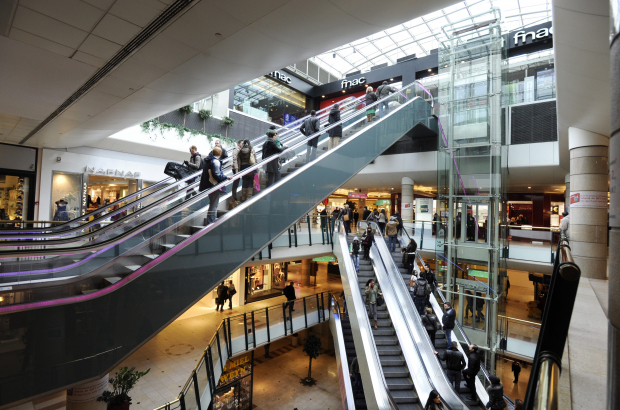 The three shopping centres on average saw a 1.1% increase. City2 did especially well, reporting a 2.11% increase between January and May of this year compared to the same period in 2017, even though the shopping centre on rue Neuve is currently undergoing renovation works. All the retail units in the tree-level shopping centre The Mint in downtown Brussels, which reopened in 2017 after two years of building works, are now also occupied. The three new tenants are: Galét, the Liège waffle maker, the Belgian shoe brand Mano and the Mint & Basil healthy restaurant chain. Galleries Anspach, meanwhile, continues to attract roughly 22,000 visitors per day, and has seen a 13.75% increase in visitors since January of this year.